Pop in and see us. You'll find our friendly staff are waiting to take your order and pour your next drink. Enjoy a meal with family or friends, a quite drink, or get rowdy in the TAB. Come on down and say Hi! Relax with a game of Pool and a few cold ones. Scone Golf Club is located in the Upper Hunter Valley of NSW, two hours drive north of Newcastle on the New England Highway, and three hours from Sydney. The friendly club provides golf for members and visitors, and a multitude of attractions in the licensed premises. Sited at White Park and within the town limits, the club has views over the surrounding hills. 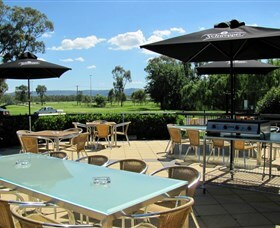 Scone Golf Club offers a bistro, auditorium, lounge, gaming and TAB areas, an outdoor children's secure area and outdoor deck. The 9 hole golf course is well maintained and provides a challenging game of golf for all standards. The club has strong links with other local sporting associations and with the Scone and District community. Drop in for a game, a meal or refreshments soon, or contact the Manager for wedding or function arrangements. 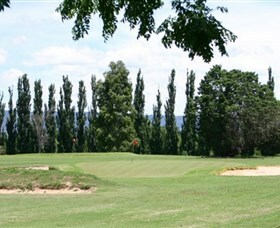 Aberdeen Golf Course is a 9 Hole (18 Tee) course set on the banks of the Hunter River in Aberdeen NSW. The par 70 course provides a good challenge to all levels of golfer. Although some holes are quite short in distance, the challenge is provided by smaller than average greens which are long and narrow meaning supreme accuracy is required with approaches. The slicing golfer is slightly disadvantaged compared to straighter or hooking hitters as Hazards or Out of Bounds fences line every fairway on the right hand side. A CCR of 66 is a reasonable assessment of the course but golfers new to the course do have trouble with the narrow greens on some holes especially the opening 2 holes. No Tee times are required. Just turn up on Monday, Wednesday, Thursday or Saturday and be greeted by friendly Aberdeen members who are glad to show you around. 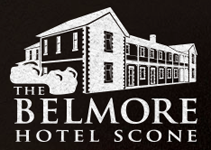 The Commercial Hotel is situated on the New England Highway between Muswellbrook and Scone. 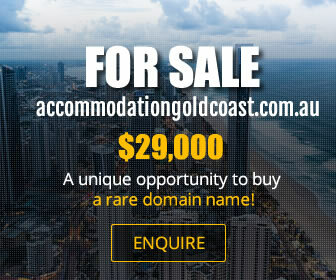 A family owned and operated Hotel, with friendly helpful staff in a relaxed country atmosphere. The Cedar is your passport to luxury, relaxation and stylish country ambience. 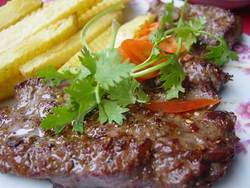 Authentic Thai food will excite your taste buds at Timmy Thai restaurant in Scone. We can be found in the Willow Tree Hotel for a fresh, exotic, taste of Thailand for lunch and dinner 6 days each week. And now open for dinner on Sunday nights as well. You can eat here or take your feast home to enjoy with the family.Our menu has a wide range of dishes prepared with fresh ingredients. Everyone's favourite entrees, like spring rolls, curry puffs and steamed dim sims are served with delicious home-made sauces to match.Rice and noodle dishes are a must to try, as well as stir-fries and curries. 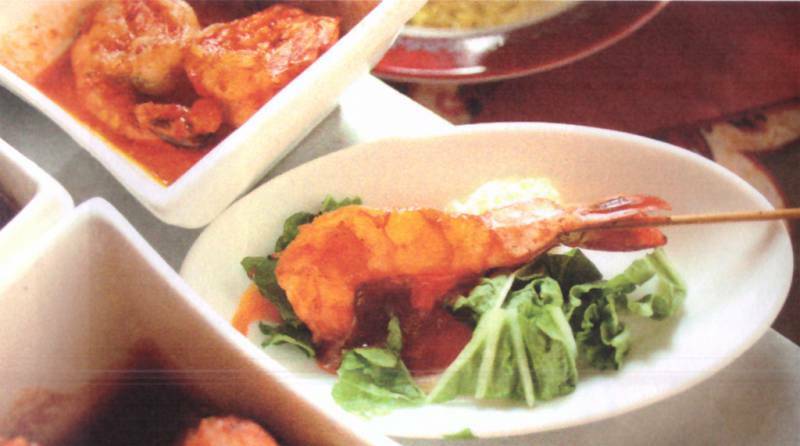 Served with your choice of chicken, beef or pork, or try king prawn, duck or lamb cooked and spiced to perfection. Tofu and fresh vegetable options have all diners catered for in a comfortable, relaxed atmosphere. Come along and celebrate a birthday or just enjoy some great Thai food at Timmy Thai in Scone. Scone Race Club where the racing and breeding industries meet. Our cafe is located in the historical Asser House. It was owned and operated as a store by one of Scone’s pioneers N.F Asser and his family from 1851 until 1964. The building was built by H. Phillips in 1847 as a store and residence. The Street Kelly which the building was built on is named after Captain Richard Kelly (1800-1879). Kelly was offered a large farm for the loss of his 2 ships, the track that ran through the farm has now become the main street of Scone.